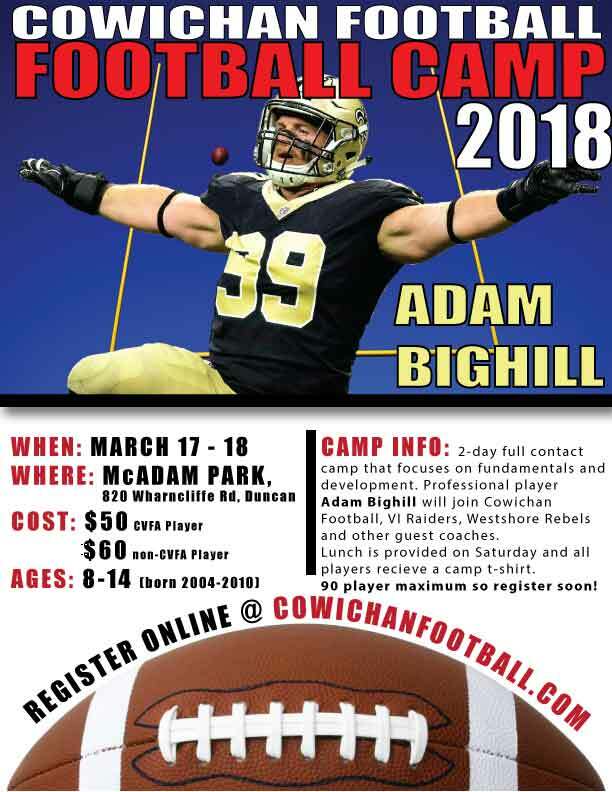 Cowichan Football’s 6th Annual Spring Development Football Camp with the CFL’s Most Outstanding Defensive Player, former BC Lion, and NFL New Orleans Saint Adam Bighill dates have just been announced! 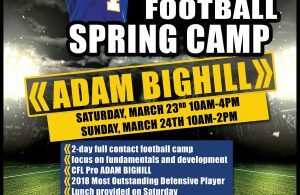 Joining Adam this year will be Coaches from both of Vancouver Islands’ Junior Football teams the Westshore Rebels and VI Raiders. 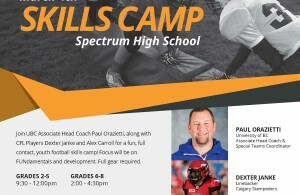 Coaches from each team will be getting players off on the right foot with the fundamentals of football.